The PicoDiagnostics NVH Kit from Pico Technology is the cost–effective answer to the many NVH problems facing technicians today. Providing real-time diagnosis to the technician in the form of either: a bar graph, a frequency chart, a 3D frequency chart, RPM order or road speed view. The ability to start the recording before a road test, and play back the recording for analysis on your return, ensures that driver attention remains on the road. Saving the recordings couldn’t be simpler: much like our other automotive software you simply save the file to your laptop’s hard drive. The PicoDiagnostics NVH kit makes use of the PicoScope 3000 & 4000 Series Automotive oscilloscopes, and comes complete with everything (J2534 Scantool or VCI not supplied), you need. If you already have a PicoScope 3000 or 4000 Series Automotive oscilloscope, you’re halfway there. A Separate J2534 Scantool or VCI can be used to provide RPM data, but is not included in the kit. The MongoosePro® will work with CAN and ISO 9141 protocol’s and is sold separately. The NVH kit from Pico Technology requires an unlock key in order to allow your specific PicoScope to work with the NVH software, one key is included with each kit. This unlock key is limited to one PicoScope automotive scope and is not transferable. 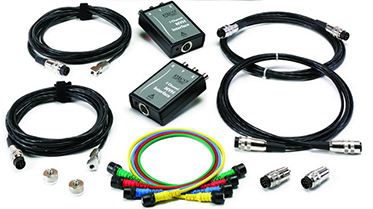 BNC cables connect the interface box to an Automotive PicoScope*. A USB cable connects your PicoScope to PC or laptop to run the PicoDiagnostics software. A Separate J2534 Scantool or VCI can be used to provide RPM data, but is not supplied. Starting at $1059.00 Free shipping!